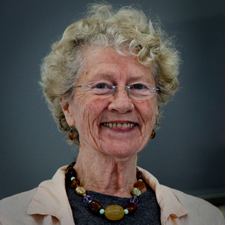 Jean Valentine’s new book, Break the Glass, is gratifying and seasoned. It contains a perfect poem, a themed set, and subtly idiosyncratic typography. It calls up, in séance, such diverse luminary shades as Paul Éluard, outsider artist Martín Ramírez, Johannes Vermeer, Franz Kafka and Merce Cunningham, and channels Mayan cosmology, Eve, Diana and Actæon, Orpheus and Eurydice, and Abraham and Isaac. It renders homage to singer Lorraine Hunt Lieberson, writer/activist Grace Paley, humanitarian physician Dr. Paul Farmer, poets Reginald Shepherd and Michal Kunz, the many nameless poor, and, finally Lucy, Australopithecus afarensis, called in Amharic “Dinkenesh” (“You are beautiful”). Shaken, its sluice yields nuggets. The latest installment in the New York State Poet Laureate’s must-read life’s journey. Conjured shades, a perfect poem and idiosyncratic details in a stunning collection. At a hotel in another star. The rooms were cold and damp, we were both at the desk at midnight asking if they had any heaters. They had one heater. You are ill, please you take it. Thank you for visiting my dream. they’re only cups if you’re thirsty, you aren’t thirsty. This is a big deal, coming from a poet – a trafficker in logograms, expressing the inadequacy of ideas to express real meaning, implying that music eclipses words, which are merely carriers, not content(!). [For this expounded, see Pound's poetics: logopoeia, metopoeia, phanopoeia.] Eclipsing all, however, the breastmilk cups of her tragic cancer, as words fail, the friend gone. and it is given for you. I was glad to lay them down. how can we have eyes to see? echoing Neruda’s Book of Questions, except that her question isn’t a flippant speed-chess thought experiment, but rather an intensely tasted hemoglobin wash of murderous mortality. And then “The just-born rabbits,” which you can skip if you savor coniglio al forno. Fortunately, the wrist-slit coed in “Old love, I want to phone you” hears at last an inner voice of hope. — Who lives in me? Jean Valentine, Brooklyn Bookfest 2010. Photo: Meghan Hickey. © 2010. Here the elements translate to spirit, flow, substance and… you can finish this thought yourself. you hold her, all the time. on my way to the Post Office. Thank you, Jean, for visiting our dreams. 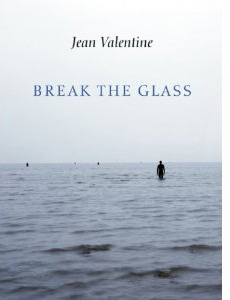 Break the Glass, published by Copper Canyon Press, is linked from jeanvalentine.com. This entry was posted on Tuesday, September 21st, 2010 at 22:19	and is filed under Poetry/Literature. You can follow any responses to this entry through the RSS 2.0 feed. You can leave a response, or trackback from your own site.